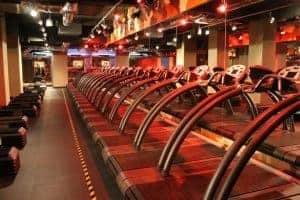 Our guest blogger and fitness junkie, Beki Armstrong reveals her top 5 places to get a sweat on in London. Metabolic opened its doors in July, and it is my absolute favourite studio in London at the moment. I joined their ’100 club’ and haven’t looked back since. It’s tough, it’s inspiring, the instructors are incredible and I can’t get enough of it. It offers 6 signature classes: Metabolic, Meta-Row, Meta-Box, Circuits, Calisthenics and the Viking Method – all high intensity with a balanced mix of strength and cardio, guaranteed to have you lying on the floor in a pool of sweat at the end of class! Three things set this studio apart for me. Firstly, the quality of the workouts. I’ve been working out here 3-4 times a week since it opened and not only have I got significantly stronger, but my form and technique is noticeably better. This is down to the instructors – they are motivating throughout their workouts, committed to making sure everyone’s form is correct and they know how hard to push you. This leads me on to my second point, which is the atmosphere. This is a friendly, welcoming studio with no egos. The instructors are all experts, but humble. Thirdly, I love the fact that the studio is not in a dark basement. It’s great to work out with natural light flooding through the huge floor to ceiling windows. Addict status: confirmed. Third Space is the most luxurious gym I’ve ever worked out in, but it’s also a place for serious athletes. 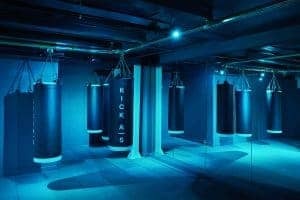 It has all the equipment you’d expect, and also boasts boxing rings, yoga studios, ‘rigs’, beautiful swimming pools and a climbing wall at Canary Wharf. The range of classes is extensive, with something for everyone. If you’re after a high intensity workout that will leave you drenched in sweat try Sweat X, Afterburner, Metabolic or the newly introduced WOD. Yogis can get their zen on at hot yoga, vinyasa, yin and hatha yoga lead by experienced yoga teachers. If martial arts isyour thing then try boxing, ju jitsu or grappling. Other classes include calisthenics, weights, rig fit, zumba and dance. 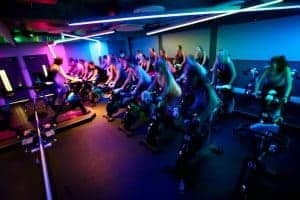 There’s a whole host of “spinning to the beat” studios in London, but Psycle is the original and by far the best. The music is awesome, the choreography is challenging and well thought out and the energy is infectious. I never fail to leave with a smile on my face and a massive endorphin high. It’s good for your body and your mind. What makes this studio special, and distinguishes it from other spinning studios is the instructors – they are all passionate and dedicated to making their classes fun, challenging and a full body workout set to a great soundtrack. There are three studios in London – Canary Wharf, Mortimer Street and Shoreditch. The Shoreditch location is the newest and offers HIIT, yoga and barre as well as spinning. Hailed as the “best workout in the world”….when you go to a Barry’s class you’ll understand why! This is the studio I keep going back to no matter how many exciting new places open. Be warned – the workout is tough. No matter how much I go and how fit I am, I always have to dig deep to do those final sets of treadmill sprints. The format of the workout is the same for each class: half the class is spent on the treadmill doing interval runs, sprints, and longer endurance runs, the remainder is spent on the floor doing exercises using dumbbells, resistance bands and your own body weight. Each day of the week focuses on a different body part, with Friday and the weekend as full body. The exact timings of each workout vary class by class so you’re constantly challenged and never bored….just watch out for the “dirty 30s”!! One of my resolutions this year is to do more yoga, and what better place to practice than the beautiful Triyoga studios. The thing I love most about Triyoga is the sheer range of classes that they offer – everything from yin and relaxation yoga to vinyasa, advanced ashtanga, acro, hot and jivumukti. I’ve tried so many new styles of yoga, pilates and barre, and discovered some niche classes that really work for me, like Pilates for runners! They also offer workshops to focus on specific areas of yoga (e.g handstands and inversions) as well as workshops to help you sleep or calm your mind. All studios have cafes offering teas, coffees, healthy vegetarian and vegan lunches and tasty juices. Another Space is a modern, striking and spacious studio in the middle of Covent Garden, which means lots of great options for post workout refuelling (I recommend Farmstand!). They offer HIIT, spinning and yoga. Spinning is an upbeat, full body workout, cycling to the beat and lead by enthusiastic and experienced instructors. Look out for their speedy 30 minute classes where you also get a free smoothie! HIIT is fast, intense, and fires up your metabolism like nothing else. Classes are a combination of boxing, strength and bodyweight exercises, set to an energy boosting soundtrack. I recommend the 6:45am 35 minute class for a guaranteed great start to your day. The yoga studio is mellow and offers a range of classes from hot, dynamic flow and relaxation. A lot of the classes are set to music which is a nice touch. My favourite class is yoga fundamentals – I do a lot of high intensity workouts so it’s great to slow down, and focus on my technique and breathing. 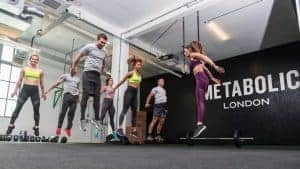 What’s your favourite class in London? Tell us on our Facebook page!